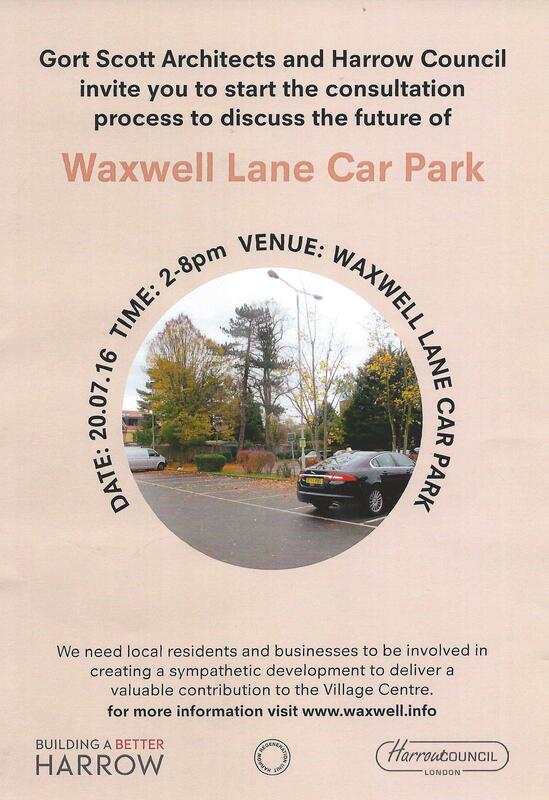 The Council has circulated this pamphlet to launch a ‘Consultation’ on the “Sympathetic Development” of Waxwell Lane Car park to deliver “a valuable contribution to the Village Centre”, not whether or not it should be retained as as Car Park. This car park has become more heavily used in recent months. The web site reference on the poster tells you no more than ‘Watch this space’. Obviously the development of the site would swell the Council’s coffers, but at the expense of the livelihood of local businesses which it currently serves and to the detriment of those living locally. Don’t miss this opportunity to ‘consult’.